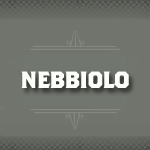 Nebbiolo is an Italian red wine grape variety associated with the Piedmont region but also can be found in the United States, Australia and Mexico. 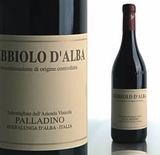 Wines produced from Nebbiolo have vast amounts of acidity and tannins which often result in it being blended, and aged for as long a 30 years before it becomes drinkable. Encountered flavors can include cherries, raspberries, herbs, tar, tobacco, and truffles.